After a cold week, the forecast is for some milder weather, which will be good as far as heating bills is concerned as well as getting out in the garden. We tend to dislike cold weather but it does have its advantages. We know that it helps to reduce pest populations as well as making a bit of a full stop in the gardening season, giving us time to stop and think and plan. Another useful feature is that it helps to break up heavy, clay soils. Now I know I can get mired in a ‘dig’/’no dig’ debate here but I honestly believe, from experience, that digging is necessary to improve soil structure and nutrients and depth. Worms will take down some organic matter in the soil but not as quickly as a spade. And while I accept that digging can bring some bacteria and beneficial fungi to the surface where they will die, the other benefits counter this. While you can undoubtedly grow many plants without digging you may be restricted to ‘easy’ plants or those suited to your native soil type. Most gardeners, including myself, want to grow a wide range of soil and like to be challenged to grow things to their best, and that means modifying the soil and other factors. Old advice requires that digging is done by Christmas so that the roughly dug soil is exposed to the air, and frost. I agree with this with some provisos. It is most useful for clay, heavy soils. I would not do it with light, sandy soils because these leach nutrients fast and, if dug in autumn leaching and rain can damage the soil. It is best to leave them, ideally covered with annual weeds or a green manure, to retain nutrients and to add much-needed organic matter when dug in spring. But clay soils are difficult to dig and it is easier to do this in autumn when they are less wet. 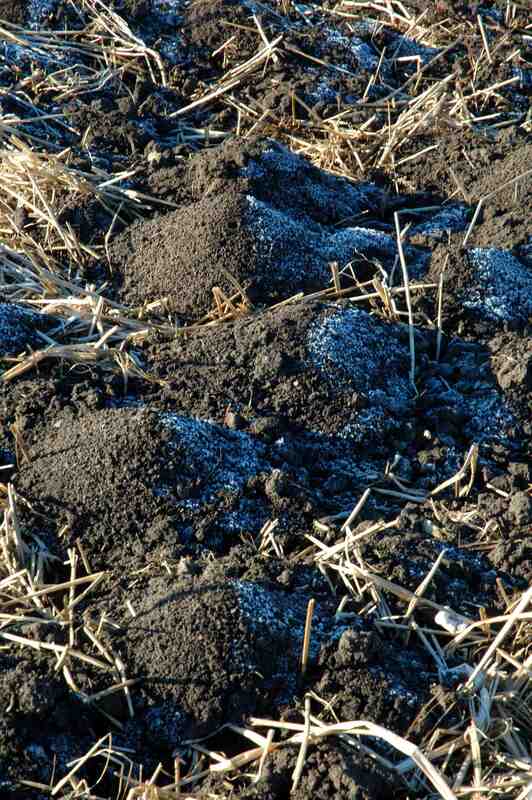 And leaving the soil in large clumps allows frost to break it up. Water expands as it freezes and the slow freeze/thaw means that the water opens up pores and fissures in the soil resulting in the differences you can see in the upper and lower photos. But the four months of good work can easily be undone. If you tramp over the soil on a wet day you can easily compact the clay into a sticky mess again. So keep off it as much as possible. 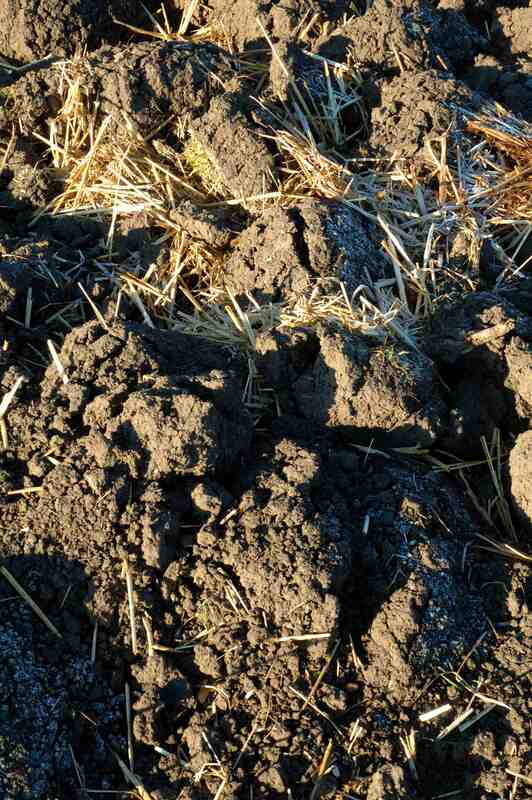 It is also important to dig in that organic matter and the freeze-thaw will be mixed with it far more effectively than you could do yourself. It is also important to mention that it takes many years to get a clay soil in good shape, but it is worth it in the end.